In a constituency so utterly dominated by the main parties – and Sinn Fein in particular, who hold three of the six seats – voters in West Tyrone will nonetheless be spoiled for choice on May 5. No fewer than five independents are standing, plus fringe parties CISTA (Cannabis is Safer Than Alcohol) and the Animal Welfare Party. Some of these lone candidates could well give the bigger parties a headache. Two independents – Patsy Kelly and Josephine Deehan – were until very recently members of the SDLP (which holds one seat). Another, Sorcha McAnespy, was a Sinn Fein member. 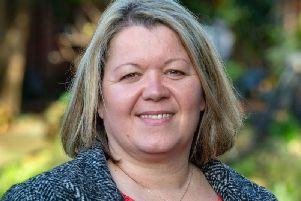 Councillor Deehan topped the poll in her district of Omagh in the 2014 council election, followed closely by councillor McAnespy, so they may have enough clout to cause problems for their ex-colleagues (meanwhile councillor Kelly was the top SDLP candidate in the Sperrin district of Derry City and Strabane). Taken together, their contribution is likely to split the united Ireland vote, and could be an opportunity for unionists (currently represented by one DUP MLA and one UUP MLA) to seize an extra seat from the resulting damage. Issues said to loom large on the doorsteps include rural health and infrastructure, and the financial straits faced by farmers. See here for profiles of more election constituencies.